Liven up any dish with Weak Knees Gochujang Sriracha. Some might say sriracha is the most flavorful hot sauce but for Bushwick Kitchen that just wasn’t enough. They combined the classic sweet and spicy notes of sriracha with gochujang, a paste made of fermented chili peppers. This super awesome sauce will richen up the taste of your food. Use it for scrambled eggs, ramen noodles, grilled kitchen, burgers, pork or basically any other dish. Not to mention tacos, burritos, Chinese food… Hey, you can even use it for a Bloody Mary. 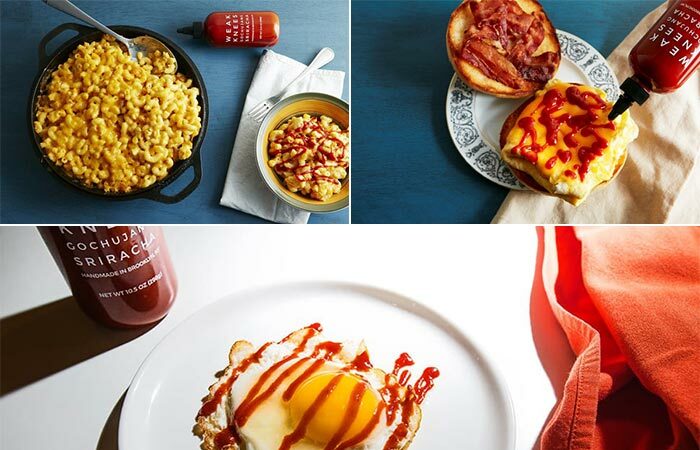 You can put Weak Knees Gochujang Sriracha literally on anything. In the set, you’ll get two bottles, 13.5 fl oz each. The crew from Bushwick Kitchen is so proud of this sauce, they will even refund you if you don’t like it. 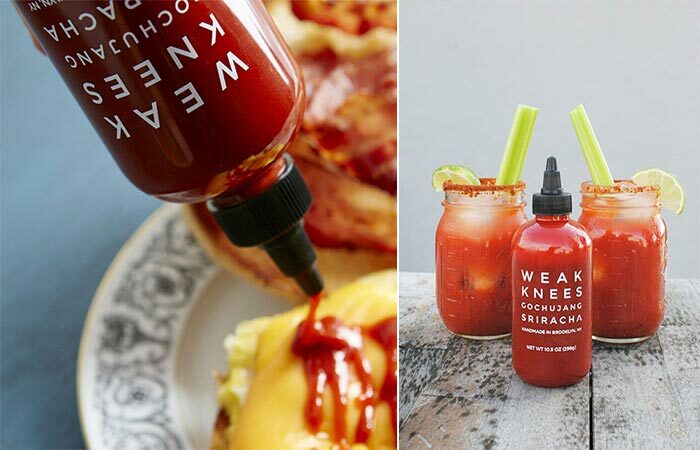 Weak Knees Gochujang Sriracha is blended, bottled, and shipped by hand in Brooklyn. The crew makes other sauces of the same quality but different taste. For this reason, check out their versions of honey and maple syrups. This hot sauce mixes sweet and spicy taste with the paste of fermented chili peppers.